One sad side-effect of the Global Warming nonsense has been the promotion of people who think it is a sign of their cleverness to abuse the trust of others. They think stepping on others is uplifting. In the long run this is never true, both for the individual and for the society they belong to, but humanity owns a bad habit of learning the Truth the hard way: Mankind has a long tradition of thinking it is wise to lie. The process of learning that this dishonesty is the mother of much misery is the climax of many an ancient tale and tragedy. For example, consider the snake in the Garden of Eden. The tale doesn’t go into what the snake’s motives were, but the result of misleading Adam and Eve was that, when the snake stood before Judgment, after he presented his case he discovered he didn’t have a leg to stand on. In order to attempt to make some sort of sense out of sways of fickle desires people developed various moral codes, wherein one was expected to be “true” to their word. Rather than being swayed this way or that, one chose to take a stand. Some foundations are better than others, as every engineer learns. There is interesting dispute about who said this first. An example of such trickery-we-smile-at is seen in the two swindlers who fool all but a child in Hans Christian Anderson’s “The Emperors New Clothes”, an amazingly short story which has entertained people all over the world, and is well worth reading and rereading, as it is brief yet profound. I think we are only fond of confidence tricksters because they are exposing some sort of vainglorious snobbery that afflicts their victims, (unless we ourselves happen to be the vainglorious chump.) We may all be egotistical in some way, but some egotists step over a threshold into to landscape of inhumanity towards others, and we do not at all mind seeing such people taken to the cleaners and humbled. We know life could be better than such pompous victims make it, and that they are in some way guilty of an indefinite crime. Even though they may have done nothing that can be prosecuted, and even may be kind to those closest to them, those less near and dear perceive an aura of unkindness, of exploitation which leaves the poor poorer, and widows and orphan worse off (despite public shows of vainglorious philanthropy). As I watched old Westerns or Cartoons as a boy there was always an expectation that, in the end, the “bad guys” would “get what they deserved.” “Dishonest John” would mutter, “Curses! Foiled again!” In the end honesty and kindness would triumph. I can’t claim I have seen this process prove true, as I have watched the world over the past fifty years. To the contrary, Dishonest Johns who call themselves wise have, in one way or another, stated that dishonesty is not merely legal, but the way to get ahead. Even the most moralistic tale on TV is punctuated by ads that are often outrageously deceitful, and politicians have become notorious for making meaningless promises, and being a sort of antithesis to a person who is “true to their word.” Therefore capitalist democracies cannot claim to stand for honesty, nor look down their noses at communism, despite communism’s clearly stated dogma that dishonesty is proper and wise and part of effective propaganda. Islamic theocracies also apparently state it is acceptable to lie to an infidel, which begs the question, how can the infidel learn the Truth if they are lied to? Yet Christian authorities have disgraced their religion as well. When it comes to “bad guys getting what they deserve”, it seems the dishonest have escaped punishment and done very well, so far. But I also feel the public has a growing sense of a Sword of Damocles hanging over their collective heads. I think the public is not only aware when they are being lied to, but is aware that such dishonesty has its consequences. However the rich and powerful of the world are unable to extract themselves from the various sorts of deceit that brought them to power, and are trapped in a dishonesty that makes the public increasingly nervous. To the powerful a jittery public seems one more thing they can exploit, by putting themselves forward as prophets and saviors, but often they are too obviously more interested in power and wealth, and therefore their self-promotion is merely further con-artistry, and only makes the situation worse. In many ways I think the entire Global Warming absurdity is but a manifestation of a vast guilty conscience, afflicting the entire world. There is a general sense that humanity on a whole has been misbehaving, and must reap what it has sown, in some way, shape or form. Even when people themselves don’t identify with being the “bad guys”, they know their leaders are short on sainthood, (or, if they idolize certain leaders, then some other power the leader can’t control, such as “Big Oil”, is short on sainthood), and therefore the nation as a whole will “get what it deserves”, and the comeuppance won’t be pretty. It is for this reason there are so many movies in the theaters based on an apocalypse or on post-apocalyptic themes. Many people have the general sense they are aboard a runaway train, or riding a raft above a thundering waterfall. The very people who caused fret in the first place then further exploit this sense of anxiety and hopelessness, but increasingly they can see people aren’t buying the snake oil. The con artists have created a monster, and like snake oil salesmen they need to leave town in a hurry, or face public rage, but in the case of Global Warming there is no place to run, for the scam has been worldwide. The cure for this downward spiral is quite old and simple. It called, “the Truth.” Truth has a wonderful, refreshing quality, because you don’t need to make it up. It simply exists, involving neither policy nor strategy, neither trickery nor treasure nor trammeling. It is free for the taking, but dreadful to behold or even consider by confidence tricksters, for they not only need to confess, but fear they will have to give up ill-gotten goods. Therefore they are in the position of someone riding a bubble, which all know must someday burst. Riding a bubble produces anxiety in both leaders and the people led by them. Some try to reassure, and some yearn to be placated, and some become restless and just wish the damn bubble would just burst, even if they must become the ones who do it, through drastic and violent actions. Few turn to the obvious answer, which is the Truth. Many succumb to the blame-game, jabbing pointing fingers at others, and few understand Truth belongs to no one, yet is available to all. A confession of ignorance is actually an attribute of good scientist. It indicates an inquisitive mind. A person wearing a white coat, claiming authoritively to have all the answers, is all too often a pretender, and even an enemy of science. The Global Warming Alarmist’s arguments that a “consensus” prevents all further discussion is a sure sign of con-artistry, and of having something they don’t want exposed. A true lover of Truth welcomes questions, and what they doubt is pronouncements. There can be little doubt we are facing a time of Climate Change, not only because the climate always changes, but because some major indicators of change are changing. The AMO, PDO, and Sunspot cycle are all undergoing profound changes, and an inquisitive mind wonders what changes they may prompt, and postulates various causes and effects, curious to see if such postulates will prove true, partially true, or be completely disproven. It is no sin to forecast such changes, but it is sheer arrogance to claim absolute certainty, and especially to claim that CO2 is the cause of every change. Either that or such claims are a sign of great insecurity, and that the claimant is clinging to a straw in the hopes it will support them. For example, in 1798 the sun went “quiet” in a manner similar to today’s sun, and there were enormous volcano eruptions in 1810 and 1815. Therefore one might wonder if history might repeat itself, and, if so, why. This is simple inquisitiveness, but to some Alarmists to even consider the sun and not CO2 might influence climate is not curiosity but “denial”, and a few even think the inquisitive should be hauled before a tribunal and punished. When it comes to inquisitiveness they prefer the horrors of The Inquisition, and place the inquisitive in the position of Galileo. I heard this dual chorus when I looked into the volcanoes that have recently been rumbling in Bali and elsewhere, and I noticed it again when I observed recent hurricanes. The hype and sensationalism clouds the issue. As these hurricanes arrive in Britain, as remnants, they will influence the development of a typical autumnal gale to the north. I personally am curious to see whether they will weaken or strengthen the gale. As big blobs of tropical moisture they might be expected to fuel the gale, but, because they have already spent so much of their energy, they might actually hold less “fuel” than tropical air that was pure and “unused” would hold. Which will it be? I think this sort of curiosity on my part is scientific, although, by confessing my ignorance, my curiosity certainly doesn’t put me forward as an authority. Magma is moving under mount Agung, as shown by constant small seismic tremors, and monkeys and even snakes are fleeing down the slopes. 50,000 people have been moved away to safer parts of Bali. I’m keeping my eye out for very large eruptions, especially as one element of the last period of “Quiet Sun” was two super-huge volcano eruptions. One thing that has fascinated me this summer, as I have studied the history of my own people here in New England, is how the English contingent just plunked themselves down onto the landscape. They were not a people whom the landscape had bred. Initially they had not a clue of the adaptations necessary for the particulars of this part of the planet. In many ways they fit in about as well as Eskimos in the Sahara Desert. They deserved to wither, like palm trees planted in Siberia, but instead they thrived. The early Pilgrims and Puritans were well aware how unlikely and even miraculous their success was, and basically concluded what they had been part of was not humanly possible. Therefore they gave glory to God, and felt part of a Greater Plan. Not that they didn’t suffer the torment of guilt. If you ever have the time to endure reading a lot of blather written in Shakespearean English, read the attempts of men in New England to explain their success, as they saw things back in the 1600’s. It is painful. They tried to see themselves as a “chosen people”, like the Israelite, moving into a Canaan inhabited by Canaanites whom God didn’t approve of, and whom God wiped out. In conclusion, they couldn’t really explain the Greater Plan they found themselves part of. Nor can I. In retrospect, their success still seems baffling, and impossible, to this day. Basically the Puritans were a bunch of people who wanted to study the Bible, and to practice Christianity as the Bible stated it should be practiced. They had noticed the Bible didn’t mention men being ruled by Priests and a Pope, nor by an alternative Archbishop of the Church-of-England, and a King-of-England. They wanted to just get away from such bossy people, people so bossy that even to call them bossy could get you in trouble, as it was tantamount to heresy and treason. .The Puritans felt that if only, (how sad those words “if only” can be), there was a place, somewhere, where Christians could form towns and behave as Jesus advised, the rest of the world would sit up and be amazed. But what chance had they that the world would give them such a place, or such a chance? “No Vacancy” signs were everywhere. What then happened is bizarre. In 22 years an area which held roughly 30,000 native Massachusetts became an area which held roughly 30,000 immigrant Puritans, without there being a battle of 30,000 locals against 30,000 invaders. How could this happen? Only after this disaster did 30,000 Puritans, apparently aware of a “Vacancy” sign, descend upon the landscape between 1620 and 1640. There was no war. There was no oppression. There was simply a void, and a people who filled it, boatload after boatload after boatload. Or, well, if you insist, there was some exploitation. The Puritans saw a vacancy and exploited it. However it was not exploitation as we usually define the word, with evictions, and with widows and orphans neglected. Rather it involved immigrants entering an empty and gruesome landscape, literally littered with skulls. And Yes, there were some “wars” during that time, but they involved a hundred against a hundred, and the skirmishes just as often involved local clans against local clans. But there was no D-day invasion with 30,000 pitted against 30,000. What strikes me, as I look back, is how ill-adapted these immigrants were, as they set up facsimile of European towns on a different continent. They should have starved, and would have starved, if a few pragmatic individuals hadn’t “gone native”. The Pilgrims would have died out were it not for the advice they got from Squanto. But they they didn’t die out. Instead roughly 30 million Americans now can look up to the higher branches of their family tree, and see at least one who was on the Mayflower, part of a group of 100 pathetic, ill-adapted and slightly mad Christians. What is somewhat amazing is the faith the Puritans had they would succeed, even in their darkest moments. They would think back to Genesis, when Sarah and Abraham were old and barren, yet were promised that their descendants would be as numerous as stars in the sky. What troubled Puritans (at times) was that they understood this didn’t only apply to them, but also to the French and the Indians. They too could be reduced to only a 100, yet rebound to 30 million. More obvious is the survival of the Massachusetts in mental realms. Just as, when Rome conquered Greece, they were so impressed by Grecian ideas, and adopted so many, that it can be said Greece won, or won part of the Roman mind, so too it can be said that, for their own survival, New England’s Puritans had to adopt some native ideas. However they did not reject their idea of plunking down European villages into an American landscape. Success does tend to breed arrogance, which earns rebuke. By 1760 Boston’s population had dropped to 15,600, while Philadelphia had nearly doubled to 23,800, and even New York had passed Boston and achieved 18,000 inhabitants. What was Boston’s blunder? The blunder was called the “Seven Year’s War” in Europe, and most historians focus on the English and French, and which tribes of Native Americans sided with which European King. Very few historians seem to notice a bunch of pathetic, ill adapted and slightly mad Christians who were swept up into the middle of the European and Native American nonsense, often got their butts kicked soundly, saw some of their villages wiped from the face of the earth, and decided maybe they should not look to Europe for help. It was only 20 years later that Boston led the charge for independence from all European bosses. Many see “a sense of freedom from the French and Indian threat” as being a cause for America’s sense of independence from Europe. Few historians seem to see independence was a logical response to being treated badly, during the Seven Years War. Treated Badly? That’s what the English asked, utterly amazed. They felt they had protected America from the French, and spent a lot of money doing so, and therefore the colonists owed them and should pay taxes in gratitude. But what the English had in fact done, by defeating the French and Indians, is to completely destabilize the delicate political balance of an area they misunderstood. The bigwigs (and rich Europeans at that time did wear big wigs), saw entire peoples as checkers on a game board, and after each war the losers would cede a bit of land here or there, and then get on with the next game war. There is something a little surreal in the attitude they took toward world politics. Their hands were never dirty and they didn’t even raise their voices. However the peoples they were dealing with were not checkers on a game board, because checkers never bleed and checkers never weep. The Puritans of New England didn’t like being treated like checkers. Perhaps no people does. However the bigwigs of England, claiming they were only seeking the best interests of New England, entered into alliances with the Iroquois tribe, promising to protect Iroquois from their rivals. The rivals of the Iroquois were not only the French and Algonquin, but also the English colonists of New England. This caused the English in America to feel their leaders in England supported their rivals more than themselves. It was adultery, and grounds for divorce. However I am way ahead of myself here, and need to back track. I need to go back to before the Seven Years War even began, to a point where my Puritan ancestors were plopping European villages onto the American landscape. This caused conflict between them and my French and Abenaki ancestors, because it involved two competing economic systems, with the Puritan’s based on farming, and the French and Indian’s based on fur-trading. A natural boundary between agriculture and hunting had been been in place for at least a thousand years, and it was created by the length of the growing season. It took a hundred days to grow Indian corn, and north of where such a growing season could be relied upon growing corn was a gamble. If the first frost was late you might reap a bonanza and get fat all winter, but if there was an early frost you’d face crop failure and had better have a plan B. Therefore, while southern Algonquin were “agricultural” peoples, northern Algonquin were “hunter-gathers”. Both people were highly mobile, and didn’t subscribe to the European idea of fixed villages, but the southern Algonquin were more settled, for they were held in place by their cornfields. This didn’t mean 90% of the village might not be out of town, but 10% were fixed from April through October by the need to fertilize, hoe and harvest the corn crop, which they did depend on. To the north, where corn was not dependable, the population was far more flexible, and might be harvesting the run of shad, herring and salmon by a river in the spring, and hunting deer a hundred miles away in the autumn. In both cases the idea of cramping your life down into the bounds of a Puritan’s eighty-acre, self-sustaining farm was laughable. Native Americans didn’t know how to do it, and what is more, they did not want to do it. To live within the bounds of eighty acres sounded like jail to them. The Native American’s lifestyle worked. They were usually well fed, with a high protein diet that made them much taller than Europeans, However the French had some cool things the Indians wanted. These included copper cooking pots, which worked better than their own birch-bark utensils (which did boil stews, but which you had to be much more careful with, and which didn’t last long), and iron axes (better in many ways than stone age ones, though flint can be sharper), and guns (sometimes better than a bow and arrow) and, in the case of some coastal clans of the Micmac, square-rigged sailing vessels. But how could a Native American buy such stuff? What did they have that Europe wanted? The answer was: Fur. Europe lusted for it. It was for fur that Native American behavior was altered, and they started to spend more time getting furs than they had formally done. This took them into lands they seldom used, called “hunting grounds” in America, and “commons” in Europe. In America the commons consisted of vast stretches of forest where agriculture was impractical and few could subsist. Once people began seeing profit in such lands, squabbles arose. The problems between the Algonquin and the Iroquois were greatly exacerbated once the French began offering cool stuff for furs. Formally neither wanted all that much to wander for long into what was basically a beautiful wasteland, but suddenly both Iroquois and Algonquin saw profit in the same forests, and, when they rubbed elbows, disputes arose. But that was basically a problem the French had to deal with. In Europe the medieval society had towns with large “commons” of land all shared. This caused certain problems, if you wanted to modernize your agriculture. A simple example would be if you wanted to breed your cow to a certain bull. This would be difficult if other farmers had their bulls in a shared pasture. 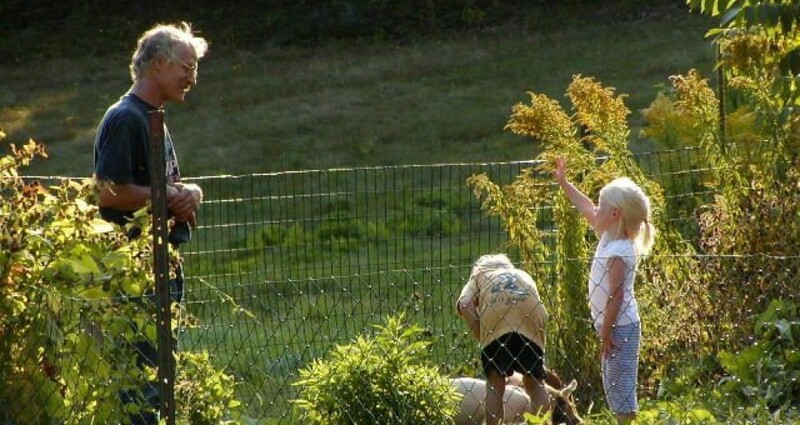 It was difficult to improve the herd. There were many other improvements a “commons” made difficult. Due to these problems the idea of “enclosures” appeared. Unfortunately this sort of improvement often involved a rich person buying all the land, and dispossessing all the other villagers. In fact more food was produced through enclosures, but many lost their homes in the process. A segment of the population was made homeless and unemployed, as a few became rich and had to figure out what to do with their wealth, and with all the people they had dispossessed. A large number of these homeless people looked for a new home in America. Many had a deep resentment over being booted from the land they had loved and farmed, by rich bigwig fatcats in Europe, and they wanted to own a farm no one could boot them off of. The “enclosures” in European history left a bitter taste in the mouths of many, and in some ways communism’s idea of “collectives” is a theoretic attempt to give the poor their land back. (I don’t think the theory works, but it recognized a problem). This idea was successful because the individual farmers were open to new ideas in agriculture, and made the farms more productive than Native Americans (and even Europeans) dreamed possible. Native Americans were limited by the fact it took 100 days for corn to grow, but Puritans could grow faster grains, and could produce more meat with cows, goats, sheep, pigs and chickens than Indians could possibly hope to produce by hunting deer. On 80 acres of what was formally deemed “hunting grounds” a farmer could, and did, raise enough food to feed and clothe himself, his wife, and amazing numbers of children, with a surplus to sell. (Surplus of food and clothing to sell, not children.) The lands were rich and the off shore waters were teeming with fish. It does not go unnoticed by a people when they are being “outbred” by another, and the Indian families did not usually have enormous amounts of children, (for reasons not discussed by historians, but likely including common sense, and how many people the land could support.) The Puritan families often consisted of ten or more children. The reason? At that time modernized “enclosed” farming was labor intensive. In Europe the problem was solved by the simple fact that the dispossession of many villagers created a large population of homeless and unemployed people willing to work for low wages, or forced to work as indentured servants. In America the problem was solved by having very large families. The booming Puritan population needed more land for its maturing children, who wanted farms of their own, which was not a problem as long as there were deserted villages in the pandemic-ravaged landscape which they could occupy for free. When such land was used up friction was inevitable, but to some degree problems were handled in the courts, with land being bought and with disputes being settled in a civilized manner. However in 1675, when the courts became too one-sided, favoring Puritans and “Praying Indians”, three Indians on the non-Puritan side were found guilty of murder and hung, and the situation exploded. Then King Phillip’s War scarred the psyche of New England. The Puritans had been in some ways cut off from Europe, which was engrossed in the madness of Christians battling Christians. The Catholics-vs.-Protestants Thirty-years-war (1618-1648) involved 8 million deaths in Central Europe, and the English Civil Wars (1642-1649) included an unspoken understanding that no quarter would be given to losers. When Puritans came to power in England their slaughter of rebelling Loyalists and Catholics in Ireland (1650) was so fierce that to this day “May the Curse of Cromwell be on you” is an expression of Irish rage. (Loyalists fleeing England tended to settle in Maryland and Virginia, perhaps even contributing to their slave-owning mentality, which then, after incubating for 200 years, again exploded as America’s Civil War.) When the Loyalists came back into power in England (1660) their expression of hate towards Puritans included digging up Cromwell’s body, hanging it, and then beheading it, with the head displayed on a spike for decades. In conclusion, European politics weren’t pretty. Puritans in New England likely hoped they would go unnoticed after Loyalists returned to power in England, and they largely did go unnoticed, for England was otherwise occupied, suffering a dark period where London was decimated by a Plague and a Great Fire, and three wars with the Dutch resulted in the blackest time in the history of the English Navy, with the fleet virtually destroyed. In 1675 the people of New England knew that, if they warred Indians, they likely would do so with little help. It actually was not a good time to pick a fight. There can be little doubt that the intent of at least some Indians in 1675 was genocide; they wanted to completely erase the Puritans from the landscape. Half the towns in New England were attacked and twelve were destroyed, and a tenth of all fighting-age Puritan men died. The economy was reduced to nearly complete dysfunction, and people lived a year of dread and desperation. However it was worse for the Indians, who to the south were nearly exterminated, including some who were attempting to stay out of the war. To this day King Phillip’s War is not a subject you want to bring up to a Wampanoag. It is likely that, because this war was fought without much European help, it was the genesis of people in New England feeling like a people apart, and different from Europeans. This attitude was helped along by the fact the English king was anti-Puritan, and the English people, while still leery of Catholicism, were tired of Puritan strictness and wanted their Christmas Trees and Yule Logs back. They felt a certain relief in having a king who knew how to party hearty, and was called “the Merry Monarch.” In New England people were not so relaxed, having just escaped extermination by the skin of their teeth. While the tribes to the south were decimated, to the north an uneasy peace was signed between my English ancestors and my Abenaki and French ancestors. But there was bound to be trouble, as the fur-based economy and the agricultural economy rubbed against each other. The unease was often due to the fact the fur-based economy saw a piece of land as “hunting grounds”, while the agricultural economy saw the same piece of land as “uninhabited.” My Abenaki ancestors might leave an over-hunted forest alone for a few years, (in a sense like a farmer leaving a field fallow), and when they returned they might discover a Puritan town had popped up. This of course led to friction, with my Puritan ancestors behaving like squatters, but claiming the land had been “unused” and they were “putting it to good use”. Friction did not always lead to war, for furs could be traded for food, and Indians greatly liked pork. Agreements were worked out between the sedentary lifestyle and the wandering one, and to this day there are islands in Maine rivers which wandering Indians have the right to return to, and legally “own”, which shows it was possible to make agreements and honor them. I like to think my ancestors would have worked things out, were it not for Europe. Wars came, because the French and English were battling over in Europe, and they expected loyalty on the part of their subjects overseas. Their wars were definitely not wanted by small farming families out at the edge of the wilderness, and it took nerves of steel and a certain lack of sanity to inhabit such homesteads, and face the risk of raids. 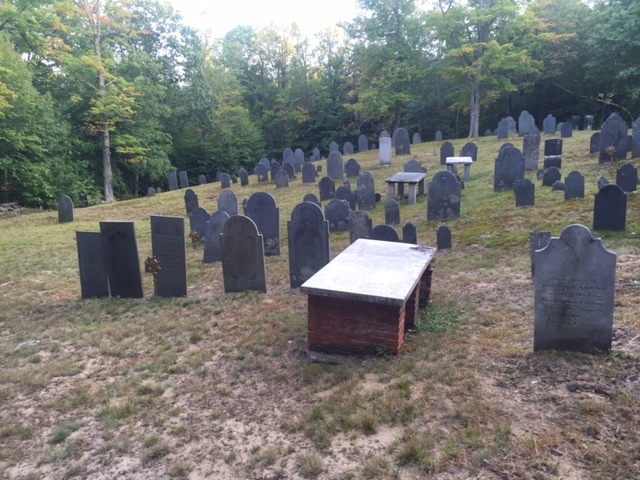 New England had never fully recovered from the prior war before the next one began. As a schoolboy I learned the English names for them, King Phillip’s War (1675-1678); King William’s War (1688-1698); Queen Anne’s War (1702-1713); King George’s War (1744-1748); French and Indian War (1754-1763). I also learned as a schoolboy that “the English won”, as France lost Canada in the Treaty of Paris in 1763. However in a sense the result was that Europe lost America. It is difficult to describe the dread the Puritans experienced at that time. The facts fail to portray it. One thinks, there were only 35 years of war in 75 years. Doesn’t that mean there was 40 years of peace? Didn’t a whole generation know peace between 1713 and 1744? Didn’t the population constantly grow? One looks at the dry statistics of raids, unaware how frightening raids were. For example, statistics show that Haverill, downstream on the Merrimack River, was raided during King Williams War in 1697. The town was 57 years old and had known relative peace, but now 27 were killed and 13 were taken captive, as many others fled to a garrison which the attackers avoided. End Statistics. The actual experience of being raided often occurred at twilight, and consisted of the peace being shattered by wild war whoops, gun-fire, screams, and desperate attempts to bring order to panic and to organize some sort of counter attack. In an efficient raid the raid was over before a counter-attack could develop. After the raid was over the bodies were counted, and those who were not dead but missing were assumed to be captives. In Haverill Thomas Duston noted he’d saved seven of his children, but his wife Hannah, her newborn, and their maid were of the missing. I don’t imagine he was happy. What happened to captives? They were either enslaved by the Indians, (the word “adopted” is often used, which makes it sound nicer than it was), or they were traded to the French, who might see if they could get any ransom for returning them, or might keep them as slaves. Hannah knew what she could expect. My Abenaki ancestors would retreat a safe distance up the river and then divide up the loot, which, besides captives, included anything useful they could scoop up in a hurry (axes, knives, cooking pots, a slow piglet, and so on). Hannah, her infant, her maid, and a 14-year-old boy captured earlier in Worcester, wound up in an Abenaki family-group of two men,three women, and seven children of unspecified ages, likely heading up to the French in Canada. They proceeded by canoe up the Merrimack River past the modern location of the capital. (Concord wasn’t founded for another quarter century). Likely the six-day-old infant was uncomfortable and may have been incessantly crying, which may have been undesirable as it gave away their location, and may have prevented sleep. One of the men took the baby and killed it by smashing its head against a tree. Likely a stunned silence ensued. Then the Abenaki did a foolish thing. When you have just killed a mother’s baby, you don’t all go to sleep leaving the mother unbound, with hatchets laying about. I’ll let you fill in the blanks about the political correctness of Hannah’s emotional state, but once the Abenaki were asleep she snatched up a hatchet and began splitting the skulls of sleeping people, with some help from the other two captives. Only one wounded woman and a child escaped. Then, (as if the scene is not bloody enough), she proceeded to scalp all ten corpses. Then the three captives stole a canoe and headed south, hiding during the day and traveling only during the cold March nights, (with temperatures likely dipping below freezing.) Travel was swifter paddling with the current, and in only two or three nights they were home. There likely was a sensation when she pulled up, famished, to the docks of Haverill, but just as likely she got right back to work. Traumatic shock or not, Puritan women with seven children used work and not psychologists as their therapy. Because confidentiality was largely unknown in the Puritan church, the post-raid Haverill services would have been interesting to audit. 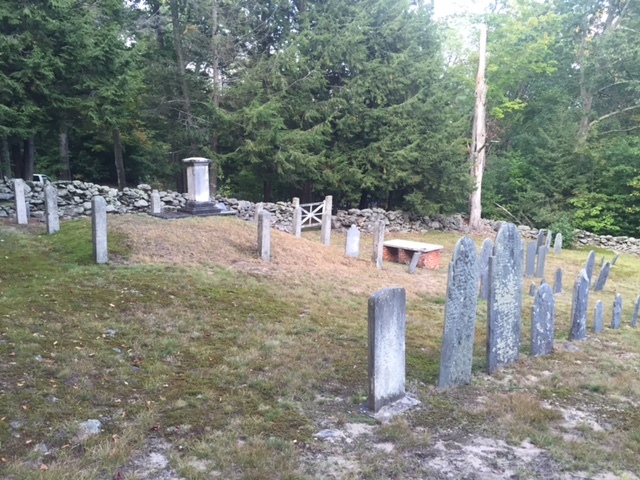 The tale of Hannah Duston’s escape was likely well known at the time, and became part of New England lore. Hawthorn, Whittier, and Thoreau all retold her tale before the Civil War. More recently some have retold the the tale, and have commented in high dudgeon that the tale is only an excuse to persecute Indians, referring to writing (which I haven’t found) during the Indian Wars after the American Civil War, which may (or may not) have used the tale to reinforce the racist statement that “the only good Indian is a dead Indian.” My reply is that bringing up the 1880’s is totally off the point. Puritans did not live in the 1880’s. They lived in the 1600’s, and were fighting for their lives. Historians far away in time, as well as distance, treat nursing mothers like checkers on a board. Detached intellectuals behave as if politics is all ethereal intellect. It isn’t. It is all well and good to intellectually talk about the merits of Capitalism versus the merits of Communism, and how they might apply to the checker on your game-board called Cambodia, but the people suffering the manifestation of such theory under Pol Pot see such faceless concepts are sheer hell, such so-called “caring” is completely heartless, and, in terms of what really matters, such thinking has the IQ of an earwig. End rave. I will now state I appreciate historians, but I don’t happen to be one. I deal in lore, and am a word that doesn’t exist: I am a “lorist”. And one part of being a lorist is to employ empathy, and sympathy, and compassion, for all. This is hard, for I have to put myself in the shoes of Hannah, who had a babe snatched from her breast and dashed head-first into a tree, and also I have to be the moccasins of the Abenaki woman who awoke with a glancing hatchet wound to her head and fled with a single child into the night. And then I have to leap across the ocean into the stylish footware of the French King nibbling olives, and the English King slurping lamprey, shifting checkers on their boards. Don’t try this at home. Being a lorist is no game for the weak and fainthearted. After Hannah made it home she found time to bring her ten scalps to “court” (a sort of bureaucratic registry-of-scalp-claimants). Some say Hannah only collected the scalps as proof her story was truth, and going to court was an afterthought, but in any case she received 25 pound-sterling, which was good money a pragmatic housewife would not overlook, and was the legal bounty for collecting the scalps of my Abenaki forebears. Bounty? Yes. At that time, when you went out hunting fur, you had to keep an eye out for other people hunting your fur, for they might make more money off the hair on your head than they would with a muskrat’s. Who started it? There were examples of scalping both in Europe and America before the two peoples ever mingled. (Archaeologists can tell from the skulls they dig up.) In terms of New England, the first recorded scalping I’ve come across was done by the Iroquois, around 1643, in a fight with Hurons and French near Montreal. However the first to pay a “bounty” were likely the English, and the French responded with a counter-bounty for the hair on English heads. I get the sense the Puritans were in a situation that was escalating, becoming more and more insane. If they tried to run away from the insane frontier to Boston, they might meet people running away from Boston. There was a smallpox epidemic in Boston in 1690 and another in 1702, and at that time quarantine was the only way to avoid infection. The only “vaccine” was to get the illness, and 30% died. (The survivors, immune, manned the places where the infected were penned.) After smallpox passed through a city an uneasy time of health would pass, as a new generation grew up without immunity, and then a new outbreak would occur. In many ways it is impossible for us to imagine their madness, (just as it would be likely Puritans couldn’t comprehend our madness concerning Global Warming). I’ll just note that a Catholic, Irish washerwoman, fluent in Gallic but barely able to speak English, named Goody Goodman, was hung as a witch in Boston in 1688, and the Salem witch trials occurred in 1692. So explosive are the topics the Puritan mind was dealing with that I can make trouble with ease, to this day, by bringing them up. So I won’t, except to say the blood in my veins seems to demonstrate the issues were resolved, to some degree, by people who were neither intellectuals nor blue bloods. Out on the periphery there existed small farms, where people still held the original dream of their great grandparents in Europe, who wanted to find a place where Christians could form towns and behave as Jesus advised, creating such a community of love that the rest of the world would sit up and be amazed. Some will be absolutely furious with me for making light of serious and significant issues, but in a sense I feel they are only attempting to perpetuate a feud that has gone on for nearly four hundred years. They fail to understand that the people out in the periphery made peace and blended their bloods. This blending was actually done in Europe as well. Certain marriages between royalty would make peace between warring peoples, making a greater nation. Ferdinand and Isabella wed Aragon to Castile and formed the great nation of Spain, and the Hapburgs went on from there, gaining far more lands through marriage than warriors could gain through brave and bloody battles. I would like to suggest it is not in the capitals, but out in the outskirts, that new ideas occur. It is among bumpkins you discover brilliance. Blessed are the poor. And the blessing (which may soon end) that befell New England was that, after all the horrors I have described, a peace fell upon the landscape, and the people knew centuries with war as a thing you only read about in the newspapers. The hills where I live was apparently originally an Abenaki hunting ground without any camps that lasted long enough to leave archaeological evidence. (In other words, they were lands Puritans might see as “uninhabited. “) Though my Abenaki ancestors deemed these lands a homeland, bigwigs in Europe “owned” the lands, and as early as 1738 (and likely earlier) they wanted to develop what they “owned”. They drew nice lines on a map. Then they looked for people who wanted to invest in eighty-acre parcels. The only potential buyers were my Puritan ancestors. 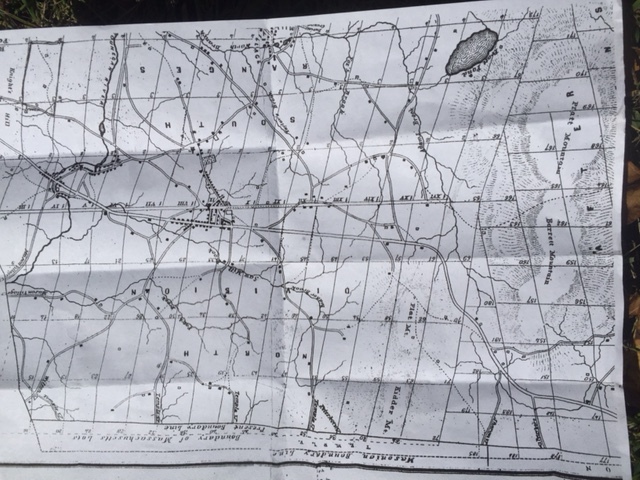 I found a map dating from 1850 which shows the lines of the 80 acre plots you could make a real estate investment in, in 1738. They are absurd, for they utterly ignore the lay of the land. Most absurd is the arrow straight “road” left to right through the center of the map, as if New Hampshire was as flat as the flattest part of Kansas. 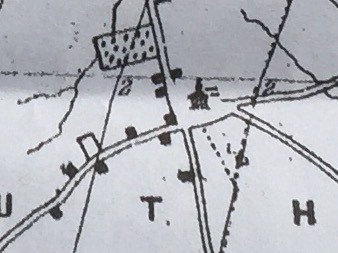 The above map shows the roads that existed in 1850. Nothing existed in 1738, and there were no buyers of the 80 acre lots. Why? I wondered, for my boyhood education showed this time as a long peace, between 1713 and 1744. Further investigation showed this was actually a time when there was a war. The Indian allies of the French, peeved that the French and English had made a treaty at the end of Queen Anne’s War (1702-1713) that didn’t bother to include the Native American combatants, decided to fight without permission from Europe. In other words, there was no long peace. My boyhood education should have included, between Queen Anne’s War (1702-1713) and King George’s War (1744-1748), a purely native and many-named war between 1722 and 1725. (I like the name “Father Rale’s War”). In other words, the big-wig real estate sellers may have felt the land was theirs to sell, but the Puritan buyers knew the truth, and all the hazards involved, and had actual experience with the Abenaki who felt the land was their homeland. No one would invest, even after peace was made with the Indians to the north. Not that a few dare-devils didn’t settle north of the fronteir, but these tended to be men who had “gone native,” and were not members of any Puritan church. Among other reasons to suspect the blandishments of real estate salesmen was the suspicion the apparent peace in Europe would vanish, and the French and Indians to the north would, as subjects of some European bigwigs, have to resume raiding. And exactly this did occur, when King George’s War erupted in 1744. It was only after that war concluded in 1748 that, at long last, a group of Puritans steeled their nerve, and marched north to “settle” the “uninhabited” lands. A rather humorous incident then occurred. As far as I can tell, a couple of Abenaki hunters returned to their hunting grounds, and walked about amazed at the collection of 80-acre farms starting to be carved from the wilderness. (In actual fact there may have only been a rumor such Indians were seen.) But the entire town panicked and fled back to Massachusetts, except for a lone individual who stood his ground on top of a hill. Therefore the official date my town was established wasn’t until a year later, 1750, when the people dared return. To get a hint of the original roads one needs to focus in on the church. All roads led to the church. Of the five roads leading to the Church only two are currently paved, because the road leading down from the top and then off to the left is now a minor state highway. The road heading straight down is now a dirt road with some fancy houses on it, as it passes through uplands without any “wetlands” regulations. The two roads heading off to the right have been abandoned, because developing such lands would be too expensive due to federal and state regulations. However by 1800 those roads were developed, and passed through pastures ditched and drained, producing milk and beef and holding large farm families, as the original farm families prospered. Seemingly it was only after the hard work was done that the bigwigs showed up, to buy the best farms with money made elsewhere. They didn’t seem to share the idea of all farmers having an equal “enclosure” and being equal, but instead they entertained the European idea they might be a “Squire”, and be beneficent rulers of the ignorant. Some of these bigwigs got a shock when the American Revolution changed the world, and they were stripped of all they owned, tarred and feathered, and sent as homeless refugees to Canada, however the bigwigs in my town had the sense to see the writing on the wall, and claimed they were “patriots” and opposed “Tories”. However their true attitude is perhaps seen in the original pre-independence town graveyard, where their grave was a mound above all others. I should note this particular bigwig is no longer laying with the original inhabitants of the town. So worldly was the family that, when a new and more extravagant graveyard was started, his body was exhumed and he moved up in the world. The irony is rich, for the family is now forgotten. Not that the original settlers are remembered and honored as they should be. In some ways modern bigwigs disdain them as bad exploiters, who killed Native Americans and hung witches and so on and so forth. In actual fact they were the last of the Puritans, and never killed an Indian or hung a witch. All they wanted to do was show the world how beautiful life could be if Christians heeded how they were commanded to live, and lived their their life accordingly. When they died they lay down as they had sat in their church, with their pastor, who served them a half century, in front of them, with his wife beside him. In some ways the Puritans seem like a cult, like people who drank the Koolaid. However they did not commit suicide and become the bloated bodies of followers of the communist Jim Jones, (from whom the expression “don’t drink the Koolaid” originates.) Rather they worked long and hard, successfully raised large numbers of children, never were rich, seldom were praised, died as laughed-at anachronisms, and changed the world. Above I mentioned two roads, that led to the church in a map, that have been abandoned. During the past summer, because the Childcare I run emphasizes the outdoors, I used “the outdoors” as an excuse to take children on hikes down those two abandoned roads. They are basically twin stone-walls, through landscape no developer would touch with a ten foot pole. (I plan to describe the ways I found to keep the children interested in some other post.) They definitely were not interested in what I was interested in, which was how the Puritans could profit from a landscape modern man has abandoned. Most amazing was the amount of stone the Puritans moved. For every after-work-hour we spend on the internet, they seemingly moved boulders, for the fun of it. This may explain why we are fat and they were not. We burn 1800 calories a day and they burned 3000 to 4000. The chief source of power they desired was not oil or coal, but water. Not a brook went un-dammed, which irks modern environmentalists because salmon can’t swim upstream with dams in the way, but modern environmentalists don’t subsist on salmon, and Puritans had to subsist on what they themselves could create. As I wandered down the abandoned roads I came across all sorts of tumbled, ruined and abandoned structures of stone, and wondered what forgotten profit was involved. But the chief profit of these forgotten people was not made of a tangible thing like stone. It is therefore unintelligible to cruder sorts of Atheists who cannot believe a thing is real unless it is physical. Instead the vanished Puritan’s “profit” was the non-physical idea which, most crudely stated, states that it is better to have a hundred people “enclosing” a hundred small farms, than it is to have a single Capitalist lording over a hundred workers on a single estate, or a single Communist official lording over a hundred workers on a single collective. This idea, (the idea a small farmer’s “enclosure” matters), shook the world in Puritan times. The question is, can it shake the world again today? I think it can. Not that we have to regress and copy Puritans. In actual fact the last of the Puritans, in my town in 1750, hardly resembled the original Pilgrims at all. They had been morphed. The change began as the Pilgrims learned from Squanto, and went on from there, until New Englanders were not called “Puritans”, but “Yankee”. They were more Indian than European. The very granite had changed what they were. They were not from overseas. When people said, “Yankee go home,” there was no place in Europe called Yankee-land for them to return to. Though Native Americans hate to admit it, the Yankee are a Native American tribe, and in some ways they were created by the meat-grinder Puritans went through. Even when Puritans forgot it was biblical to love your enemy, they learned from the Algonquin tribes and the Iroquois, even as the Algonquin and Iroquois fought each other. Out of this shambles came the transformed Puritans, called Yankee. In like manner certain modern powers are like Algonquin and Iroquois, and like French and English, each insisting they have some sort of power that makes their way the only way. Meanwhile a realer people will evolve beyond their ken. And in like manner, just as sure as rose buds will make rose hips, all the fuss of big wigs (currently called “the elite”) will do little to further their selfish causes. Just as the English thought they won the French-and-Indian-War, only to discover they lost America, so too will current elite big-wigs discover their claims to fame results in their ignominy. Why? Because bigwigs, whether in the 1600’s or in 2017, fail to see what really matters. In fact they tend to mock and ridicule what really matters. Instead, as movers and shakers, they stride forward in outrageous arrogance to create those debacles in history that make us most ashamed to be human. It is for this reason that those currently in Washington D.C. like to think of themselves as “the elite”, but are called “the swamp” by more ordinary and humble people. Bigwigs like to think they see what really matters. They don’t. History proves this over and over again, with such astounding regularity one wonders over the blindness of those who fail to see. What do they fail to see? It is a basic goodness that makes the poor blessed. The economist, studying profit and loss and supply and demand, can never understand the zero a mother calls gain when her breast gives her infant milk. In like manner, a person utterly engrossed in what Hollywood calls “fame” or what Washington D.C. calls “reelection” can never understand Jesus Christ. However my Puritan ancestors, for all their failings, at least were making the effort to understand Jesus Christ. And look what happened. Their children became a World Power. What is power? Currently a fellow in North Korea is embarrassing the powerful by making a parody of their antics, with nuclear weapons. If this North Korean unleashes his power on the west coast of the USA the Hollywood “elite” will swiftly understand all their “fame” is not worth a hill of beans. The economy of the entire USA may crumble in the aftermath. But will all this matter all that much to the poor? If you have nothing to begin with, you have nothing to lose. And the only proof I have to offer is the history of the New England Puritans, an obscure people far from the centers of power and policy, who wound up shaking the world even as they became extinct. While attention has been diverted to hurricanes to the south, a gale has blown up at the Pole. This storm has characteristics of the persistent low pressure at the Pole I dubbed “Ralph”. Milder-than-normal air has fed up to the Pole, like it did last year, indicative of a meridional flow rather than a zonal flow. At this point I should likely confess I was expecting to see “Ralph” fade at the Pole, and a more zonal jet stream to manifest and build high pressure. Indeed there did seem to be a struggle between high pressure and low pressure at the Pole, but now “Ralph” has reappeared in a big way. My reasoning was based around the fact the lagged effects of the major El Nino of 2015 have likely faded, and I think the appearance of Ralph was largely due to the difference between a colder Pole and warmer tropics. With the tropics cooler I figured the cause of the meridional flow would weaken. However perhaps that poor excuse for an El Nino last summer was enough to keep Ralph going. Or perhaps the fact the sun became briefly became very noisy at the start of September threw a wrench into the works. In any case, we have a gale churning away up there. It will not have the effect of an “Gustogale” because it isn’t August. In August it is hard to find temperatures below freezing over the sea ice, but now temperatures are well below freezing, and the -10°C isotherm has appeared north of Greenland. Not that the ice-edge might not retreat in the face of southerly gales north of the East Siberian Sea, but also the Laptev freeze-up might be hurried as cold wind sweep around and chill its shallow waters. Comparison of this year (right) with last year (left). Last year’s storms left the ice far more scattered and shattered. Also the Northwest passage appears more frozen up this year. Yesterday’s extent graph does not yet show the storm causing a downward blip. We will have to keep an eye on that. There may be a late minimum. There does seem to be a lag between when things happen in the tropics and when the effects reach the Pole, so another thing I’ll be keeping an eye on is whether the lagged effect of the developing La Nina reach the Pole in the second half of the winter. I’ll be expecting the zonal flow. I figure if I forecast it long enough, eventually I’ll be right! I’ve been spending a lot of time this past summer thinking about what I should teach youth. What have I learned that will be lost, when I die? Of this learning, what is worth saving? What is best forgotten? I think one reason it is difficult to remember much of early childhood is because it is full of indignities and embarrassments. If you had to remember all of them all the time you might have trouble getting out of bed in the morning. Rather we absorb a sort of conclusion, a lesson, a moral-of-the-story. As a consequence of this amnesia we walk without needing to think of all the falls that went into learning to balance. What good would it be, to remember teetering backwards and sitting abruptly down onto a diaper full of poop? It is far better simply remembering how not to. The only ones who want to figure out all the individual events that go into our habits are psychologists, who are curious about our motives, and, as a person who became deeply engrossed in psychology as a youth, I have discovered a danger of psychology is that it makes it difficult to get out of bed in the morning. If you have to figure everything out before you begin, it is unlikely you’ll begin. Talk is cheap, and action speaks louder than words, and it is through failures that a sincere seeker finds right. No man became a saint without first blundering his way through a long series of moral failures. It is these “good habits”, the crystallized essence of experience, that come down to us as various cultural commandments, the rules that saints pass down through the ages to guide and instruct the young. We tend to resent these rules, especially when young, because they seem to impinge upon our freedom, our ability to to go out and learn for ourselves. The saints, and even ordinary parents, want us to avoid “learning things the hard way”, but when young we want to rattle the bars of our cages, to bust out and “raise some wild oats.” Then we (hopefully) learn rules do not exist without reason, nor do they exist merely to oppress us. This quote, which Mark Twain may never have spoken, is used by many who have come to understand how respect for elders is acquired, and is in itself an example of how an elder like Mark Twain is so respected that the words of a complete unknown like Fred N. Ringe can be remembered and respected a century after he wrote them, if we think they were written by Mark Twain. I would like to have my words remembered and respected, a century from now. Perhaps I should say, “Mark Twain said, ‘I would like to have my words remembered and respected…’ “. But first I thought I’d turn to the culture of China, where ancestors have long been held in great reverence, to see if I could get any pointers on how to sell my words. Wow! That Mao fellow sure did know how to sell a book! And I will confess that when I was young I wanted to be a rock star, and have crowds, like the one seen above, treating my every moan and groan as if they were Shakespearean sonnets. That being said, there is something about the above crowd that utterly repels me. With twenty-twenty hindsight one thing apparent to me is that Mao wasn’t truly rebelling from capitalism. He was in fact acquiescing to it. How? He was subscribing to the capitalistic idea that increased production is better. Before the “Cultural Revolution” was “The Great Leap Forward”, which was all about increased production. Mao was frustrated by the fact China appeared backwards, “third world”, like it was living in the stone ages, and in his eagerness to be more capitalistic than capitalism he conceived the idea that traditions were an evil. Anything that seemed “old-fashioned” was labeled either “bourgeoisie” or “Western”. It must be “purged”, even if it in fact was the heart of China’s spirit, and an attribute that made China unique and in some ways more civilized than the barbaric West. Just as some psychologists think amnesia is the answer to the problems of the troubled, and shock-treat their brains, Mao felt the answer to China’s troubles was to subject the collective mind of China to shock, attempting to create an amnesia towards tradition, which would allow “reeducation”. Meanwhile, traipsing about, back in America, young hippies felt production itself was the problem. They wanted to “get back to nature”. Indians, somewhat to their own astonishment, found themselves abruptly held in reverence rather than scorn, and coined the word “Wannabea” to describe young hippies who “want-to-be-a” Indian. In like manner, the Amish suddenly found ridicule was giving away to admiration. Where China was attempting to destroy its past, America was attempting resuscitation. To some it seems hippies were simply spoiled, and ungrateful, and unaware how hard life had been in the Great Depression, and how lucky they were to live in a time of increased production. People who didn’t live back in the 1950’s and 1960’s don’t know that, in fact, production actually had gotten a little out of hand, and that pollution was so bad smog made eyes sting in Los Angeles, and a river in Cleveland actually caught on fire. Listing ingredients on the side of packages of food began with the “Fair Packaging and Labeling Act” of 1966, and I can remember scrutinizing the sides of packages with other youths in wonderment, amazed by the exotic chemicals used to color and preserve our food. What my focus was back then wasn’t the pollution and destruction of forests or rivers or the air or even the very food I was ingesting, but rather of the home. I was from a broken home, and witnessed the divorce-rate in my little town soar from 2% to 50%. I also witnessed the change of my town from a Norman Rockwell New England village to a bedroom suburb where there were far more newcomers than old-timers, and people stopped knowing who their neighbors were. The instinctive American response was to simply move further out into the wilderness and form a new town. This was the idea of a hippie “commune”, which was in some ways the old American concept of creating a Utopia, and in some ways was a newer and more socialistic idea, but was seldom true, pure communism. Nor did most hippie communes work or last very long. “Free love” was fine in theory, but in fact people got pissed off when lovers were less than faithful. Also drugs didn’t lead to clear thinking, and people had trouble being responsible, (as responsibility seemed an affront to freedom). I was still a teenager when I lost faith in the hippy communes, and began thinking more deeply about what made a home and a community strong. Though originally it was producers, and therefore “capitalists”, who were destructive to communities and homes, more recently it has become the far-left as well, which returns us to Mao, and the idea of a “purge”. Much of the current “Resist” movement, which has appeared following the election of Trump, is an attempt to copy China’s “Cultural Revolution”, and to create a sort of American “Red Guard” that will overpower more traditional forces, (who are in fact a truer “resistance”). This movement is having less luck than it had in China, for there is still a large percentage of Americans who don’t want uniformity, and who still believe diversity is a good thing. The fact the people who call themselves “liberal” have shifted all the way from claiming they would fight for my right to have a dissenting opinion, to saying dissent must be crushed, reminds me of the statement, “I didn’t leave the Democrat party; the Democrat Party left me.” There is a huge difference between a Harry Truman Democrat, who stood for the working class family, and modern extremists. When I looked up the source of the quote I discovered it originated from Ronald Reagan. Nor was it his mere wit; it was a fact of his life. In some ways I find this embarrassing, for I can recall being a young Liberal and despising President Reagan. I deemed Reagan a rich fat cat, and never bothered read a word he wrote, preferring to bad mouth him for his advanced age and his success. Now I poke through his speeches and see him saying “my” thoughts, way back in 1976. When I gather together my thoughts, what is it have I decided it is important to teach the young? One thing I’ve done this summer is to study what I’ve learned from three cultural branches of my family tree: The Yankee; The Abenaki; and The Huguenot. And one thing that saddened me is to what degree all three cultures have been destroyed. The modern world, with all its gizmos and gadgets and plastic and video, can’t compare to a single old man I knew, who died last winter, and what he knew about weather and trees, and also what he knew about being a faithful husband and having a home. He’s been erased. In a sense progress has been a purge, erasing the wisdom of the past as thoroughly as Mao. It seems to me that there is something inherent in that attitude that demands we love our neighbors. It whispers of a better way, where it doesn’t really matter if your neighbor is richer or poorer, white or black, capitalist or communist, Christian or Jewish or Muslim or Atheist. It is not a merely American idea that “all men are created equal”. It involves “loving your neighbor”, with origins in Old Testament Law over 3000 years old. Such a concept does not allow purges. It does not allow capitalistic profit to override humanity. It actually, if you take it to the limit, does not even allow war. Lennon was actually of the old-school of Democrats, and if fate had allowed him to live past age 40 to the age of 77, (which he would be today), he very well might now be saying, “I did not leave the Democrat party; the Democrat party left me.” And if he stated this in a truly communistic nation he’d be slapped into a Gulag so fast his head would spin. As a second conclusion, I’ll simply state that it takes guts to believe “all men are created equal” these days, for you will catch it from both sides. The extreme right will attack you for getting in the way of production and profits, and the extreme left will want to purge you for getting in the way of their (supposedly bigger and more fairly distributed) production and profits. However a neighbor is not a production. A neighbor is not a profit. Who is your neighbor? Well, your closest neighbor is your spouse. Love your neighbor. Next closest are your children. Love your neighbor. Next closest is your neighborhood. Love your neighbor. Next closest is your county and state. Love your neighbor. Last on the list are the big-shots of the Federal Government, and it doesn’t matter a hoot in hell if they are communist or capitalist. Love them as well, but love them last. Charity begins at home. This is the attitude which was handed down to me. It may infuriate certain big-shots, who feel they should be higher up on the list, but if you study the American Constitution you see they should not be tyrants, but servants. This is the attitude we should try to pass on to the young. Progress is not evil, when it walks hand in hand with this attitude. Great powers are attempting to destroy this attitude, but if you stand by the Truth it will stand by you, and furthermore Truth transforms all it touches. The Truth is that the Yankee, Abenaki and Huguenot of New England were once enemies, and none thought there could ever be peace. Now all three bloods flow in my veins, and peace has blessed the landscape of New England for 200 years. The feuds are forgotten, and amnesia is a good thing in that respect, but the attitude that was merged and coalesced is not forgotten. Truth is no candle that the ignorant winds of darkness can blow out, and in the end huge darkness cannot stand up to the littlest light.